India have been ranked 100 as per the latest FIFA World Rankings released earlier today, 4th May 2017 and still occupy the 11th spot in AFC. 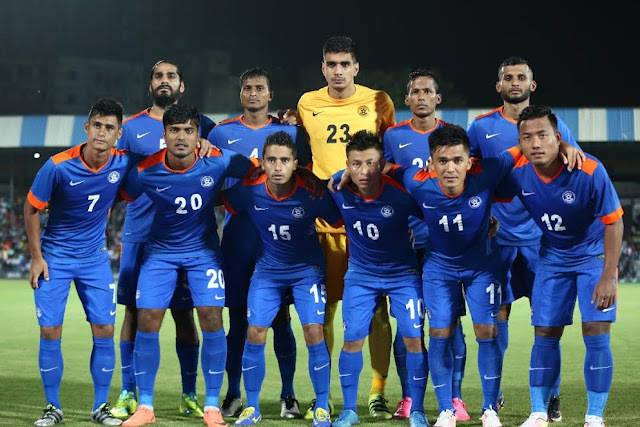 This is the first time in 21 years and only the sixth time after Independence, the Indian National Team have been ranked among the top 100 Teams in FIFA Rankings. This is India’s best-ever FIFA Ranking since April 1996 when India were also ranked 100. India’s highest FIFA Ranking till date has been 94, achieved in February 1996. Historic wins including a 1-0 victory over Myanmar in the AFC Asian Cup qualifiers – the first ever win in Myanmar in over 64 years, and India’s first ever win in an away encounter in over a decade where Constantine’s men defeated Cambodia 3-2 in an International Friendly has propelled the Indian National Team to the rise in the FIFA Rankings. Add to that the 4-1 win against South American opponent Puerto Rico has also added gloss to India’s point tally. The National Team has secured victories in 11 of their last 13 matches (including an unofficial match against Bhutan) scoring 31 goals in the process.